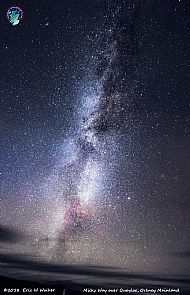 Highlands Astronomical Society (HAS) is where amateur astonomers and others with an interest in astronomy share their passion for the stars, planets and all other wonders of the Universe. There is something for everyone, from talks to observing sessions, suitable for all - from absolute beginners to the more advanced astronomer. Most of our activities take place in and around Culloden, where we meet every month and have our own observatory. We meet monthly, on the first Tuesday of each month at Smithton Culloden Free Church (second Tuesday in January) from 19:15 (for 19:30) - 22:00. All welcome. Your first visit is free. The Youngstars, for ages 8-14, meet at the same Venue, prior to the main Meeting, from 19:00 - 19.30. Directions to the venue are on the 'Find Us' page. See the 'Meetings and Events' page for more information. 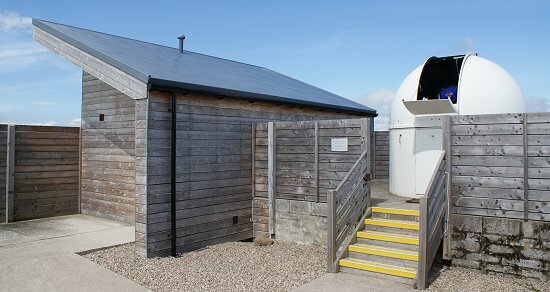 There are public evening observing sessions on 2-3 Fridays each month throughout the winter at the JSL Observatory located at Culloden Battlefield, opposite the NTS Visitor Centre (directions). We also host Solar Saturdays through the summer months where you can SAFELY view the Sun with specialist equipment. Please be sure to visit the JSL Observatory page before joining us - it will help you to get the most out of your observatory visit. See the 'JSL Observatory' panel in the right-hand column for the date, time and status of our next observing session. This is updated in the hours before a session, so do check back before setting out. Over the next couple of months, as we head towards the Spring Equinox there is an increased chance of viewing the Aurora Borealis, or Northern Lights. Our Observing Team & Astrophotography Group have identified this as another excellent challenge for our members to develop & display their skills. “Anything goes” in this challenge - long or short exposures, novice or expert, smartphone to DSLR. The images will be divided into categories and you, our members, will select your favourites (which will be recognised in some appropriate way!). It’s also highly recommended you use our Facebook & FB Messenger facilities. Facebook is updated frequently & can be used to set up discussion threads & posting your images. Using Messenger, which is confidential & one-to-one, our response rate to individual queries/comments is less than one hour. You will need to set up your own Facebook account to use these facilities but it is an easy & secure process. We will keep our website and social media pages updated with Challenge information so keep your eyes peeled and have fun hunting The Northern Lights. Series of observing guides focusing on binocular astronomy, with a new object introduced every week. Suitable for everyone, from complete beginners to more experienced observers - anyone with a binocular in fact! Fancy a "small" scope that thinks it's bigger than it is? Want it with a posh dual-speed Crayford focuser and a triplet ED lens assembly? Ok? Want it with a carbon-fibre tube? Well, alright then: here's the TS TLAPO906T ED Triplet refractor. Read the review of it by Antony McEwan. Astronauts arrive safely at space station. Non-invasive Collection of Saliva Helps Monitor Stress Levels in Real Time. NASA mission reveals asteroid has big surprises. Pentagon submits Space Force proposal to Congress. Acucela to develop a compact OCT for NASA’s deep space missions. Weighing galactic wind provides clues to evolution of galaxies. Links to other space and astronomy news published in March 2019.